Sunday, October 8, 2017 the Richardson Symphony Orchestra musicians, led by Maestro Clay Couturiaux, surprised art patrons at Cottonwood Art Festival with a melodious "flash mob." 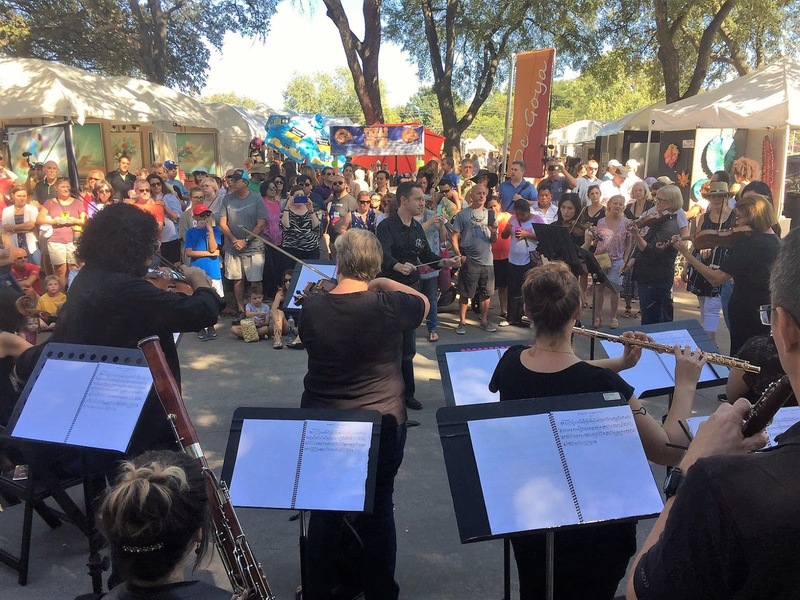 Carrying instruments and wearing all black, the musicians nonchalantly walked into Cottonwood Park and one-by-one assembled into position. The performance began with a single snare-drum relentlessly tapping out the introductory beats of Boléro by French composer Maurice Ravel. This one-movement piece originally premiered in 1928 in Paris and noted as Ravel's most famous composition. As each musician started to play the excitement of this impromptu artistic performance continued to build. 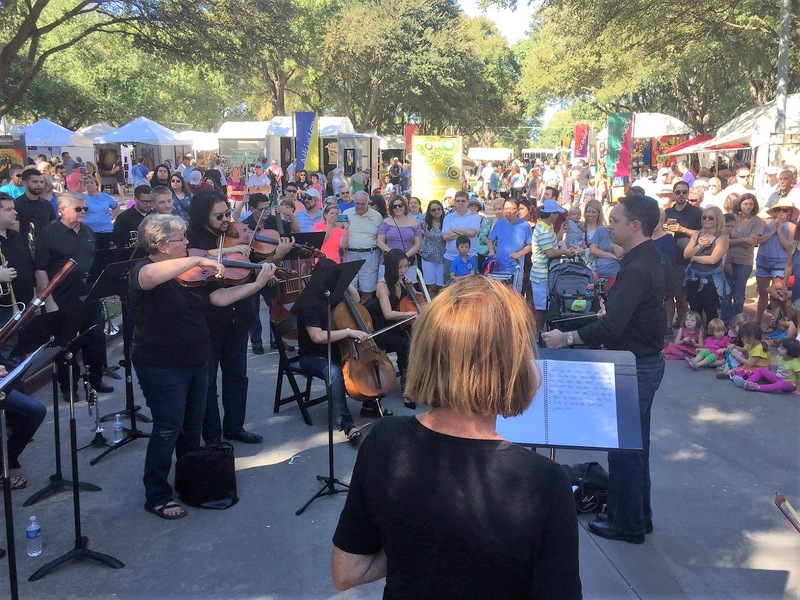 "It was a tremendous opportunity to perform at the Cottonwood Art Festival and to provide symphonic music in an unexpected setting."